Me: I'm an obsessed Backstreet Freak who is highly addicted to Fan Fiction! Can't seem to get enough of it, nor be able to update mine fast enough. Plan on being a famous author/actor someday or maybe something more reasonable. Brian Freak mainly - obviously, look at my screen name. lol. Favourite songs off This Is Us: Straight Through My Heart, Masquerade,� All Your Life (You Need Love), & Bye Bye Love. Scariest Moment: When I had a panic attack (June 24th, 2005) 'cause I didn't think I was ever gonna get tickets to see BSB in Ottawa this coming September on the 12th. It was scary 'cause I was home alone, an' thought I was either gonna pass out or have a heart-attack (over re-acted with heart-attack thing though-lol). Happiest Moment: When Brian smiled AND waved at me during AND after the concert, on Sept. 12th, 2005!!!!! Everyone else waved too - & Nick did either did his "Rock On" thing or two "I Love You" signs. Lol. Oh, but we missed Howie - sadly. *pouts* I also almost passed out during Shape Of My Heart!!!! Meeting BSB again in 2010 & Nick smiling at me (I smiled back), then winking at me, making me swoon (after I'd handed him a heart for my SC photo). Hugging Brian again, even though we weren't s'pose too. A.J. laughing at me 'cause I kept smiling & sticking my tongue out at him, when everyone else would be screaming (was in front row). 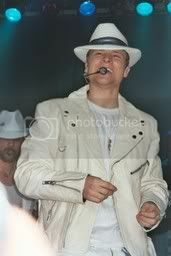 Brian singing to me though he picked a different girl for INBYH (NKOTBSB concert 2011). He also waved at me, & winked at me. Howie asking me if I thought it was funny that he got hit by the pyro (I nodded yes while laughing). Joey McIntyre trying 3 times to get my fingertips because he didn't want me to be left out. Finally making it to Walt Disney World in Orlando, Florida (Sept 2011). Graduating college on June 10th, 2014 from the Tourism and Travel program. Going to the Marilyn Denis Show on Oct. 6th, 2014 and having Nick Carter sing to me on live television. Why Is Da Sky Boo? Hey, Do You Know Me? "I not only thrive on feedback, I thrive on updates!" Summary: The turtles and their friends have suffered a great loss and are dealing with their grief through writing. Summary: Kevin reflects a little bit, on someone and times very dear to his heart. Ashley's parents were murdered right before her very eyes and there was nothing she was able to do about it. To avoid being put into orphanages and foster homes her whole life; she runs away and changes her name and identity only to land herself into even more danger when she befriends a strange man and moves in with him. When he nearly kills her, an Orphanage takes her in and she refuses to reveal who the man is in fear that he will come after her and finish what he started. After all that she has been through, she's afraid of everyone, and everything in sight. But can one caregiver in the Orphanage get her to open up and reveal her secrets before it's too late? A young turtle enjoys nightfall. Summary: A young man who has lost everything; two girls who have it all...Will they find love, friendship, or both? And if they do, will the girls prejudice step-father allow it? Tesia decides to vent through her music. She doesn't want for anyone to think they are alone. Someone special is getting a Valentine's surprise. Ty & Lena's first Christmas together. Will Santa remember to visit everyone? Lenore Parker witnesses something she wishes she hadn't. Growing up is tough enough, but to have people after you? That just makes things even worse. Sometimes, after a long day at work, you've just got to roll with it. 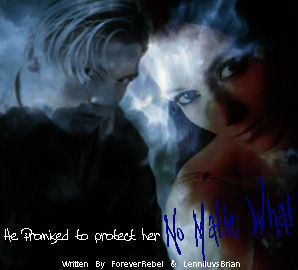 Lena goes trick or treating, and runs into a pleasant surprise and a little bit of trouble along the way.